The Northern Pike (Esox Lucius). Rivers continue to fish well most days, but afternoon rains can muddy things quickly. The lower stretches of the Eagle and Colorado rivers are especially prone to discoloring. When conditions permit, nymphers are having good success. When waters are stained consider dark streamers. Look for solid dry fly action early and late in the day; caddis or terrestrials are a good option. Another river worth visiting is the Roaring Fork. While also in great condition for floating, that has created a raft/boat hatch that makes wading a better option. Like the Colorado, nymphing the deeper runs is often your best bet when boat traffic is heavy. While it’s too early for kokanee runs, look for Gunnison to be one of the earliest. The kokanee will begin to school near inlet areas. This is a good time to look for them in those areas, especially on Green Mountain Reservoir. If you locate them, small bright jigs (think crappie) are often effective methods. Wolford Mountain Reservoir has been running hot and cold for kokanee anglers. Most successful fishers are trolling lead core line from three-five colors. A variety of lures will work. Small silver, red or combinations both spoons have been the best options. South Park waters have been producing decent numbers recently. Working the weed lines with long leaders and callibaetis nymphs continues to work for many anglers. Other tactics producing a few fish include black streamers and when conditions merit dry flies, particularly midge patterns. Note: the south boat ramp is closed. Antero Reservoir has been responding well to minnow-style lures, such a Rapalas, which have worked into the late evening. Near-shore fishing has been producing a number of brown trout. Elevenmile Canyon Reservoir remains full, an exception for most of Colorado’s reservoirs. This makes it an excellent option to boat. Water temperatures, like most waters, are in the low 60s. Consequently, during the heat of the day look for the fish to move deeper, over 10 feet. Trolling near weed lines and breaks will produce best. 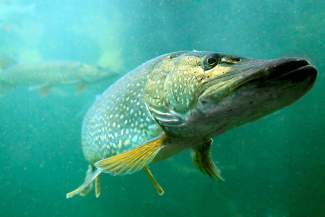 Near-shore areas are also productive for northern pike. Dave Coulson is the Colorado state editor for http://www.fishexplorer.com. He contributes a weekly fishing report to the Summit Daily News.